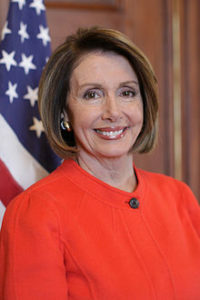 With the largest Congressional Black Caucus in history along with a historic number of women entering the U.S. House in 2019, House Democratic Leader Nancy Pelosi (D-CA) has announced plans for a new emphasis on staff diversity in the U.S. House. The effort will call attention to the ongoing diversity problem on Capitol Hill. Very few senior staff positions on the Senate side are held by Blacks or Latinos. On the House side of Capitol Hill most staff top positions are employed by member of the CBC. “We know that the diversity in our ranks is a strength and a reflection of the American people,” Pelosi wrote to colleagues last week. She is expected to run for Speaker and lead Democrats once again when the new Congress convenes in January. A new House Diversity Initiative would create a permanent office in the House with sufficient staff to help recruit and retain diverse employees according to staff. Much of the pressure over the last few years regarding the diversity issue on Capitol Hill has come as a result of study and effort by the Joint Center for Political and Economic Studies headed by Spencer Overton. The Joint Center applauded Pelosi’s letter to her Democratic House colleagues emphasizing the importance of staff diversity. The letter featured several Joint Center recommendations. Pelosi’s letter encouraged members of Congress to hire diverse staff. She also announced her hope that the Democratic Caucus would formally adopt the Rooney Rule, which requires interviewing at least one person of color for every top staff position. The top positions, or “senior staff” positions in each congressional office are: chief of staff, legislative director, communications director. The Joint Center published a report in September 2018 that found that although people of color account for 38 percent of the U.S. population, they account for only 13.7 percent of the top staffers of the U.S. House of Representatives (161 out of 1174 top staffers). Nine new members of the Black Caucus will likely include Lucy McBath (GA-06), Ayanna Pressley (MA-07), Lauren Underwood (IL14), Steven Horsford (NV-04), Antonio Delgado (NY-19), Joe Neguse (CO-02), Colin Allred (TX-32), Illhan Omar (MN-08) and Jahanna Hayes (CT-02). There will also likely be five new African American full committee Chairmen and Chairwomen when the new Congress convenes in January. Lauren Victoria Burke is an independent journalist and writer for NNPA as well as a political analyst and communications strategist. She may be contacted at LBurke007@gmail.com and on twitter at @LVBurke.